Bank plays an important role in the business sectors and in the industrialization of a country. Basically the banks take deposits from the customers against interest or profit and lend it to the borrowers against interest or profit for a cessation period. Under these circumstances of banks offers different interest rates or profit and other options to the customers to remit and deposit their money. These options are very common among the entire bank, but only the customer services and other facilities vary from bank to bank. In our country there is Govt. Banks, Semi-Govt. Banks, and Private sector have conventional and Islamic bank of Bangladesh and also it is the third generation private bank in Bangladesh. It started its crucial moment/juncture when Bangladesh economy was undergoing through massive economy reforms and pursuing unilateral and multilateral trade liberalization with the backdrop of the World Bank made international monitory fund recommendations. This UCBL with its fifty one branches in strategic locations of the country is providing the best quality services to their customers and clients. Uttara branch is the branch of the UCBL. Mohammad Abu Hanif the head of the branch. They follows on principal, narrow span of management as a result of which the management can put directly care on all the departments. The internship program is an opportunity for the students and it bears a great significant for us. It familiarizes the students with the practical business operations. The students of internship program get the chance to understand the real business world closely and familiarize themselves with internal and external expects of business. It gives them an opportunity to develop the analytical skill and scholastic aptitude. All over the world the dimension of banking has been changing rapidly due to Deregulation, Technological innovation and Globalization. Commercial banks in Bangladesh have to keep pace with the change in global business. Now banks have to compete in market place both with the local institutions as well as with the foreign institutions. To survive and thrive in such a competitive banking world, an important requirement is development of appropriate financial infrastructure by the Central Bank and to introduce skilled banker, only theoretical knowledge in the field of banking studies is not sufficient. An academic course of the study has a great value when it has practical application in real life situation. So, I need proper application of my knowledge to get some benefit from my theoretical knowledge make it more tactful. Such theoretical knowledge is obtained from a course of study at only the half way of the subject matter. Internship implies on other the full application of the method and procedures through rich acquire of subject matter can be forcefully applied in my day-to-day life situation. Such a procedure of practical application is known as internship which program covers a period of three months of organizational attachment. This period particularly helps us to get to know the corporate behavior and get acquainted to face new challenges with the knowledge that we gained in our university life. We all know that the activity of the supply which ends with the finished products to the customer. The internship program is something like that. It is the border line of the BBA program. Now a day’s people like to use his/her own vehicle for transportation, because the lack of public vehicle, security, relaxation etc. So there is a tendency to buy car. For full fill this need Higher & Higher- middle class people want to purchase car. So they want to invest their money in ‘UCB Home Loan’ in different banks. 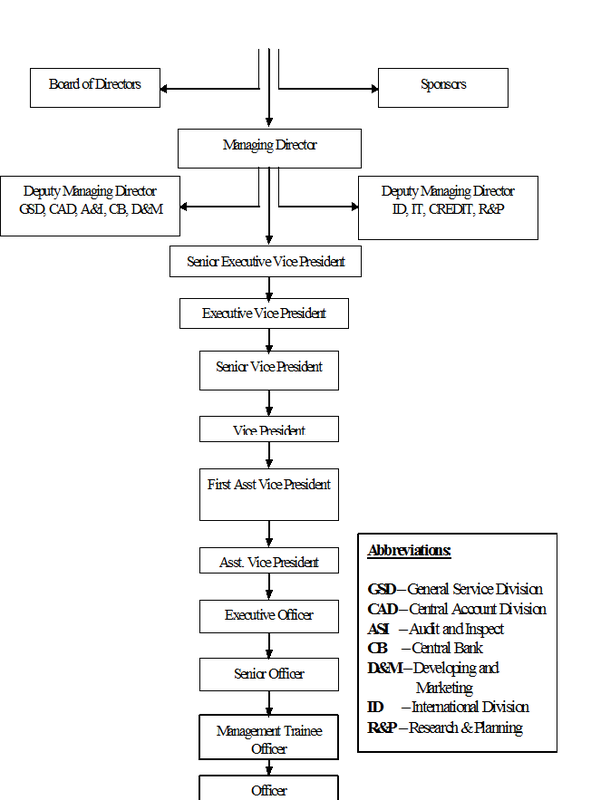 United Commercial Bank Ltd. is also providing this kind of scheme. This topic will be covered how to evaluate an investment scheme, how does it work, what’s the reason behind contributing this investment scheme & the comparison between United Commercial Bank with some other banks. More over one who wants to be a future investor, he/she can find a real case scenario for investing in ‘UCB Auto Loan’. This report will mainly focus on the last year’s performance over UCB Auto Loan of United Commercial Bank Ltd. 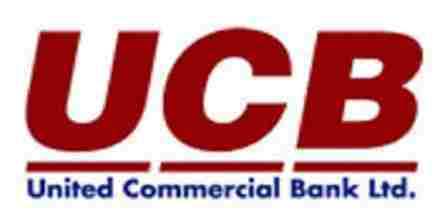 This study will mainly focus the Performance appraisal over ‘UCB Auto Loan’ of United Commercial Bank Ltd. Because of this performance depends on the United Commercial Banks services & the clients mind to invest here. So the information will be collected from the United Commercial Bank Ltd., clients & to compare with others, some information will be collected from some other commercial banks. To know the different types of consumer scheme of UCB. The purpose of this study is to observe performance appraisal Auto loan of UCB of Uttar branch. To perform the study data, sources were identified. The data were collected, classified, analyzed, interpreted and presented in a systematic manner and key points are found out falling is the process of methodology. Since i had to work basically in the loan section and I had to supervise the Auto loan, the topic thereafter was chosen accordingly as approved by the supervisor. Primary data were collected by interviewing the officials and staffs, clients where necessary. Secondary data sources were files, documents, website of the bank, relevant books, etc. Target Population: All officers and clients of united commercial bank Ltd, Uttara.Branch. Sample Size: To take a portion from a huge population for the study of the population is called sampling. And that portion which number of population is used is called sample. Each sample has a specific size which is called sample size. No. of employees: – 10 were selected from loan department. No. of clients: – 40 were selected from loan department. Objective of sampling is required to reflect a population group so the selection of sampling method should be more effective in the report. United Commercial Bank Limited is a scheduled commercial bank registered by the Bangladesh Bank. United Commercial Bank follows the rules and regulations prescribed by the Bangladesh Bank for Scheduled commercial banks. The functions of the bank cover a wide range of banking and functional activities to individuals, firms, corporate bodies and other multinational agencies. The prime objective of United Commercial Bank is to serve the people for attainment of their economic goal and success in life here and hereafter. United Commercial Bank Limited stands not only for material well-being but also for ethical development of its customers. The Government of Bangladesh has licensed United Commercial Bank Ltd. (UCBL) as a private commercial bank, which is focused on the established and emerging markets of Bangladesh. United commercial Bank has started their operation in Bangladesh as a local bank in 1983 under company Act 1994. UCBL has Tk. 1000 million as authorized capital and Tk. 230 million as paid-up capital. The Bank has made a significant progress within a very short period of its existence and occupied an enviable position among its competitors after achieving remarkable success in all areas of business operation. The Bank is operating its business according to maintain all the rules and regulations that the Government of Bangladesh imposed for sound performance in the Banking Industry. United commercial Bank Ltd. is one of the leading private commercial bank in Bangladesh. It sponsored by some dynamic and reported entrepreneurs and eminent industrialists of the country and also participated by the eminent. UCBL started its operation in the mid 1983. It renders banking services to its customers. With an outstanding lance, the company is heading towards the new millennium though focusing on leadership, service innovations and all other is required for earning excellence and continued growth. This is offering service-keeping harmony with the changing demands customers and is getting customer satisfaction by assuring quality and by delivery better service value comparing with its competitors. The emergence of UCBL in private sector is an important event in the arena of Bangladesh. It has been able to establish the network of 102 branches throughout the country. A team of highly qualified and experienced professionals headed by the Managing Director of the Bank who has vast banking experience bank and at the top there is an efficient Board of Directors for making policies. With its firm commitment to the economic development of the country, the Bank has already made a distinct mark in the realm of Private Sector Banking through personalized service, innovative practices, dynamic approach and efficient Management. The Bank, aiming to play a leading role in the economic activities of the country, is firmly engaged in the development of trade, commerce and industry thorough a creative credit policy. UCBL currently works with 329 correspondents covering 102 countries. Moreover, the Bank has arrangement with a number of Exchange House at Singapore, U.A.E, Oman, Qatar, and Kuwait to facilitate remittances form expatriate Bangladeshis. UCBL offers various types of products and services include Western Union money transfer, SMS banking, and online services, debit card, credit card, dual currency VISA credit card, various deposit schemes etc. They have total online banking facilities along with no charge in the local transactions. They have 10 (Ten) Automated Teller Machine (ATM) Booth in Chittagong Sylhet and Dhaka Division. But they also have the contract with Dutch Bangla Bank Limited to use their booths in all over Bangladesh by the UCBL customers. With its firm commitment to the economic development of the country, the Bank has already made a distinct mark in the realm of Private Sector Banking through personalized service, innovative practices, dynamic approach and efficient Management. The Bank, aiming to play a leading role in the economic activities of the country, is firmly engaged in the development of trade, commerce and industry thorough a creative credit policy. United Commercial Bank Limited wants to be the market leader in the local banks in Bangladesh. Their target is to be the highest profitable bank in local banking sector. To ensure maximization of Shareholders’ wealth. To ensure human resource development to meet the challenges of the time. To identify customers needs & monitor their perception towards meeting those requirements. To review & updates policies, procedures & practices to enhance the ability to extend better services to the customers. To train & develop all employees & provide them adequate resources so that the customer’s needs are reasonably addressed. To promote organizational efficiency by communicating company plans, polices & procedures openly to the employees in a timely fashion. To diversify portfolio both the retail & wholesale markets. It has been performing commercial banking activity and striving to introduce dynamic Banking functions. It is the pioneer in introducing and launching different customer friendly deposit schemes to tap the savings of the people for channelizing the same to the productive sectors of the economy. The Bank is committed to continuous research and development so as to keep pace with modern technology. United Commercial Bank Limited was rated by Credit Rating and Information Services Limited (CRISL). In their report on April 2009, they rated the Bank as AA- for long term and ST-2 for short term. The gradation in long term rating has been done in consideration of its good capital adequacy, appropriate asset quality, increased non funded business and sound liquidity position. The short term rating indicates high certainty with regard to the obbligatos capacity to meet its financial commitments. Maximum 5 years for brand new. Maximum 4 years for reconditioned. Minimum 10 % for brand new. Minimum 20 % for reconditioned. It is mandatory for the client to take an insurance against the car. UCBL specified some insurance company from where the clients have to take the insurance for their car. TK. 20000 for salaried individuals and TK. 40000 for the business man. TK. 2000000 For both brand new& Recondition cars. Loan amount will not exceed 80% of the vehicle price. Equal monthly installments based on the tenor of the loan. B. First part comprehensive insurance of the car. C. Post dated cheques based on the loan tenor. D. Additional security in the form of personal guarantee may be obtained of. E. Parents or an individual having minimum solvency/income not less than that of the borrower supported by income proof. A. Duly filled of car loan application form terms and condition signed. D. Irrevocable letter of authority to repossess the vehicle. E. Ownership transfer form signed by customer. F. Letter of offer with full terms and conditions stated therein and dual accepted. Verification of personal details and quotation. B. Letter from employed with details of employment and salary. C. Borrower and guarantors details both present and permanent all telephone numbers of residence office and mobile number. Proper substantiation of income will be mandatory. All or any of the following original/true copy of original documents are accepted for the purpose. A. Bank statements for minimum 6 months. C. Any other document that may stand as a proof of income such as last tax return deed of enfant agreement etc. Different Consumer Scheme of UCB Ltd.
Doctor’s Loan of UCB Ltd.
Loan Against salary of United commercial Bank Ltd.
Life is full of surprises. We often tumble into unforeseen cost that leaves the fixed income people unprepared. To support the fixed income people in those sudden events UCB launched “Loan against salary”. This product is tailored to provide loan to fixed income people against salary to mitigate any emergency need. Only salaried employee within the age limit of 21-65 years can apply for this loan. Terminal service benefits are to be lien against the loan. Remarks: Loan against Salary is a special retail product united commercial bank limited which is only for Service holder’s .In the last 2 years disbursement amount is not satisfactory. However the bank should try to attract new customers by altering this loan features such as by better pricing & repayment periods. Recovery percentage under this loan is very good. Any purpose loan of UNITED COMMERCIAL Bank Ltd.
United commercial Bank introduces this loan scheme very recently. The loan scheme is under the retail credit scheme of UCBL. The purpose of the loan is basically to meet the need of cash money in the time of emergency. Any people with a stipulated fixed income within the age limit of 25-65 years can apply for this loan. This scheme is to meet the fund requirement for marriage purpose of salaried person in Govt. / Semi govt. / Autonomous bodies / Multinational Co. / Banks / Insurance / Financial Inst. / Educational Inst. with confirmed 3-years service ahead and businessman having adequate cash flow. This scheme is for meeting fund for travel purpose of salaried person in Govt./Semi govt. /Autonomous bodies/ Multinational Co./Banks/Insurance/Financial Inst./Educational Inst. with confirmed 3-years service. Purpose of the loan: For educational purposes like study in abroad or within the country. Hospitalization loan will be provided for treatment purpose or surgery where hospitalization is necessary. The loan shall be available for the salaried person, i.e., employee of the Govt. Organizations / Semi-Government Organizations / Autonomous Bodies / Multinational Companies / Banks / Insurance Companies / Educational Institutions / Principal Bodies. Personal guarantee from an individual having means, standing and social status acceptable to the bank and another from his/her family. Undated cheques in favor of the Bank covering the whole amount. This Line chart shows us the financial growth Trend of the “UCB Auto Loan” from 2006 to 2010(November). And we can find that the Trend is gradually increasing from year to year. That means it is growing from 2006 to 2010. In this survey I have chosen eight individual people, those have taken the “UCB Auto Loan” in year 2010 by using stratified sampling method. 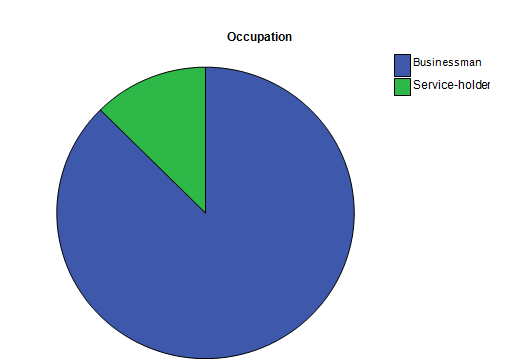 In this Survey eight respondents were chosen & they have different occupations. From them 87.5% Businessman & 12.5% Service-holder. 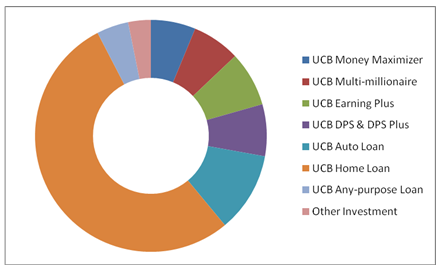 It is revealing from the study that most of the investors of UCB Auto Loan’s are Businessman. Have you taken car loan from which bank? The purpose of the study was to identify whether the loan borrowers of this scheme have taken any loan from the other banks for the same reason. However it is found that none of the loan borrowers have taken loan from the other bank except United Commercial Bank Limited. Because the Clients are loyal to the Bank, they have to do some other transactions with the bank & they want to make a good relation with the bank. Did you have any account in this bank? All respondents said ‘yes’, they had to open a bank account in United Commercial Bank Ltd. Because it is mandatory & it also provides some help to the Clients & the Bankers for doing any kind of transition. Was it mandatory to have an account in this bank? All respondents said ‘yes’, opening a bank account was mandatory. Did you have to full fill the bank’s requirements for this loan? All respondents said ‘yes’ & full filling the bank’s requirements were mandatory not only for UCBL but also for all banks. And this rule remain unchanged now on. What was your monthly income level? This Pie chart shows that the income level of the respondents is differ from each other. It is found that all of the respondent’s monthly income is more than 40,000 TK/-. What was the purpose of taking this loan? It is found that the rate of the purpose of taking this loan 75% Business pursues & 25% Personal purpose. That means most of the investors under this UCB Auto Loan used this scheme used it as the commercial purpose. 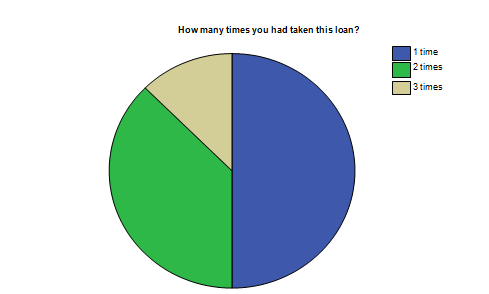 How many times you had taken this loan? 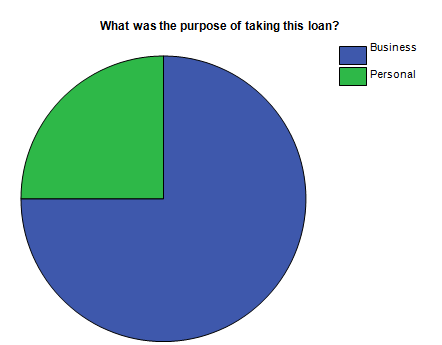 It is found that 50% of respondents had taken this loan for 1 time, 37.5% for 2 times & 12.5% for 3 times. It differs from their needs of the vehicle. You had taken loan for how many cars? It is found that the respondents had taken loan for as many cars as their need. 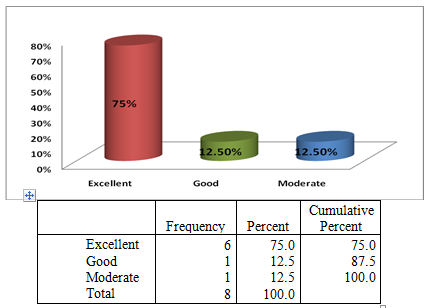 The pie chart shows that 50% had taken by one respondents & rest of the respondents had taken at the rate of 12.5%. For which type of vehicle you had taken this loan? United Commercial Bank Ltd. gives Car loan for 3 types of vehicle- Private Car, Jeep & Truck. It is found that according to the Borrowers need they had taken loan for different kinds of vehicles. And the percentage is 62.5% for Private Car, 12.5% for Jeep & 25% for Truck. So the highest rate of loan browed for the Private Car. From the survey it found that the most of the loan borrowers had taken this loan for commercial purpose & as we now the intention of all commercial organization is how minimize cast. So in here we found that the percentage rate for the Recondition Car is high 75% & only 25% for the Brand new Car. Though in our country people are naturally like to use the Recondition car. So, That may be another reason behind this highest rate. What was the profit/interest rate for this loan? the rate is fixed. It all depends on the Banks roles & regulations. What was the range of loan amount on total cost? Maximum time bank sanctions 80% loan on total car-purchase amount but only for Brand-new car they allow 90% loan on total car-purchase amount. What was the loan amount (TK. in Lac)? 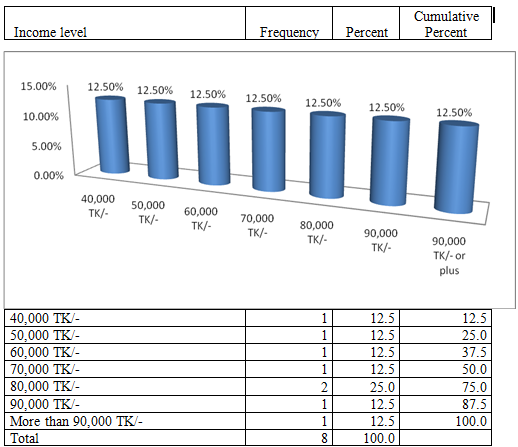 It is found that the highest loan amount is not-more than 20, 00,000 Tk/-. Car is the long term asset, so investors had to invest a handsome amount of money for this Investment Scheme. What was the period limit of the loan? 50% respondents said that the period limit of the loan is 4 years & bank allow highest 5 years period limit. What was the rate of Down payment or 1st installment? All respondents said that the Down payment or 1st installment rate was 20%. All respondents said that the UCBL gave them the opportunity to pay the installment in yearly or monthly basis. But for that they have to follow the banks instructions. Did you paid all installment in due time? Here is no Loan borrowers have been found that which payments were due. Because they know that if they had any due then they have to bear some penalty & its rate is 1% to 1.5%. According to my survey I am going to find out the SWOT analysis of “UCB Auto Loan” of United Commercial Bank Ltd.
Bank provides average range of loan amount. Bank is flowing the same rate for this scheme from the last 3 years. The Banks in Bangladesh has faces a lot of illegal pressure from Political persons, Directors and Management of the Bank for approval of loan. In that cases UCBL also are bound to approve the loan without any assessment and rationality for them. The risk managers have often insufficient time for credit risk management. Huge workload and hurries for loan approval prevent them from through assessment. So, it is very troublesome to manage the risk in a prudent manner for the risk managers. A third party (CPV- Contract Person Verification) verifies the account holders or grantors all documents as the relevant required document are perfect or not perfect. In CPV there is no one for bank and customers. Banks have to depend on CPV verification to approval the loan. The process of sanctioning an auto-loan is very time consuming. Management should give more effort to reduce the time of processing a loan. The branch manager should have some discretionary power to sanction the Auto loan. They should create awareness among the new investors for this Scheme by providing some advertisement in newspaper, magazine or in other media. The Auto Loan Policy of the Bank is very complicated. Bank need to make it easy and understandable. So that all credit officer can understand the instruction and follow this instruction correctly at the time of risk management. The management must be careful to sanctioning that auto-loan which is recommended by powerful bodies. Because these loans sometimes become more risky. To reduce the auto-loan risk the original documents of the client must be verified thoroughly. If manager sanction the auto-loan without the verifying original documents, that may involves more risk. To reduce the default risk the repayment capacity of loan of the auto-loan client should be properly investigated. Otherwise, here have the chance to default. Bank has a few numbers of tools and techniques such as DBR (Debt-Burden Ratio) to assessment the auto-loan risk. Bank need to introduce new and advance risk assessment tools and techniques. It is a great pleasure for me to have practical exposure in United Commercial Bank Limited, Uttara Branch. Because without practical exposure it could not be possible for me to compare the theory with practice, and it is well established that theory without practice is blind. I have completed my internship in Uttara Branch of United Commercial Bank Limited. During the practical orientation, I have observed the function of Investment Banking, and overall banking activities that comply with the sound business operations of United Commercial Bank of Bangladesh. Its performance specially based on prompt and swift services is busier than other department of United Commercial Bank Limited of Uttara Branch & the Bankers are maintaining a peaceful & reliable relation with the clients or customers. According to my survey I can find that the potential customers are the Businessmen whose motto to the Car loan for full fill their business purpose or need. Naturally everybody organization has some problems but the organizations are not stop their activities, they must go on. I hope the Bank can find out their problems & solve it as soon as possible. Thought the more and more customers are coming in the branch through this department resulting deposit of the branch is increasing day to day. In a word, the performance of United Commercial Bank Limited, Uttara branch is growing rapidly and the volume of remittance is increasing effectively. At last it can be said that, United Commercial Bank Limited will be turned into a dynamic Islamic Bank in the country and will expand its Banking Business all over the country to provide the banking services to the groups including the deserving Economic groups of the society who have no easy access to the banking channel. This will help for alleviation of the poverty, income generation, creation of employment opportunity, up-gradation of the standard of living of the lower economic groups, which will also contribute to the emancipation of national economy of the country.